If you have a dog that is really important to you and who you love so much, then why not give him a gift that is both stylish and trendy? And having that in mind, there is nothing better than a luxury designed dog collar. 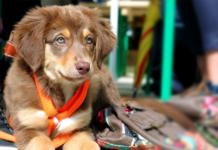 After all, if you love your dog, why should you just settle for an ordinary collar? The dog you own is not an ordinary dog, he’s your friend, and you ought to treat him like one. Your dog deserves to be trendy and stylish, and there is nothing better for that look than a new luxurious collar. Here are some of the best luxury collars that you can find from all over the world, and at the end, we’ll give you a list of the collar we believe to be the best. Walking at night? Try one of these safe LED collars. For the pampered pooch, this Beirui dog collar is scattered with gorgeous rhinestones. A must have for your beloved pup. The Bestia Maximum genuine leather dog collar is a top notch product for strong dogs. Customers include Pitbulls, Rottweilers, Dobermans and more. Inspired by a Drum Roll, this collar is made to help any pooch stand out from the crowd at the dog park. Taking inspiration from the Bestia Maximus collar, the Bestia Hektor stuns with 2 large rhinestones and emblems. If you are from the United Kingdom, then you are probably familiar with the “Diamond Dog” collars, which are considered to be the most luxurious collars being worn by all the celebrity dogs at the award shows or the red carpet. This company has been in the luxurious collar making business for more than 30 years, and the collars they make come with great details, extremely vibrant colors, and they are in the most current style and are being made out of the material that is considered to be most comfortable for your dog. 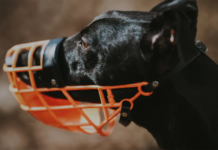 These collars can even be found in luxurious magazines such as Vogue, or around the necks of the dogs belonging to the Royal family or Elton John. These collars also come from Diamond Dogs Company and are considered to be a real work of art due to the fact that each stone on it has been perfectly shaped, which gives the collar and your dog a luxurious look that just can’t be found anywhere else. The hardware of the collar has been plated with nickel, or solid brass in some cases, and is made of the best possible English leather and clothing hides. These collars are something you just can’t go wrong with, and especially once you realize that they come in such vibrant colors as Fern, Azure on Blue, Sun on mandarin, Apple Green, or Fuchsia on Berry. Every single stone in this collar offers a great contrast to the collar itself, making your dog incredible looking while wearing one of these great Charisma luxurious collars. In case you were looking for a collar that offers a lot more bling, then Swarovski is the way to go! This collar is packed with numerous amazing crystals in order to give your dog a bit more luxurious look with a touch of the real bling. You can choose from three different collars, which come in black leather, purple leather or brown leather, and they have all been hand colored! The crystals in this collar are pure Swarovski crystals, which are known for their huge quality. Every different collar gives a completely different look for your dog and especially different look for the sparkly crystals. The crystals on the black collar are clear, and the ones on the brown ones are an offset with a Golden Shadow. There is also the purple collar which offers Aurora Borealis color, which allows the crystals to glow with shimmering beauty, just like the natural phenomenon whose name they carry. You can definitely be sure that these collars are authentic and of great quality, because every single one will come with a different individual tag, which displays all the unique specifications of the collar. We have all heard of Swarovski, a company lasting more than a century which was filled with experience and quality, all in order to make the best crystals available to the people. This Austrian company founded in the 19th century is a company responsible for some of the best-looking crystals that can be found on the market today and is today a world-wide company working in various fields – from jewelry for people to dog collars, as we can see here. The dog collars with Swarovski jewelry are considered to be the most luxurious on the market, as well as being the most popular. This is basically because of the fact that people know what Swarovski is and how good their products are. That is why they immediately know that their collars are going to be amazing as well, and real works of art. Dog collars with Swarovski crystals can be a perfect gift to a friend with a dog, and what’s great about it is the fact that you can expect more collars from this designer with about 4 of them coming in a year. This collar is just perfect for small breeds of dogs and is amazing because it features stones that were made from the materials of the highest quality, and by one of the best crystal companies on the planet. 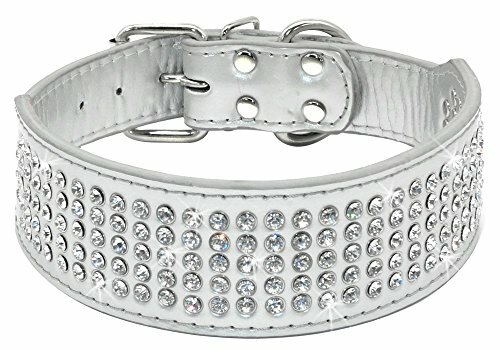 The Swarovski crystals used in this collar come in different colors, which look amazing and give your dog a great look. This collar is just perfect for all the smaller dogs around, like the Poodles or Pomeranians. It is rather slim for a dog collar because it only has 4 rows of crystals, making it great for the dogs with smaller necks. 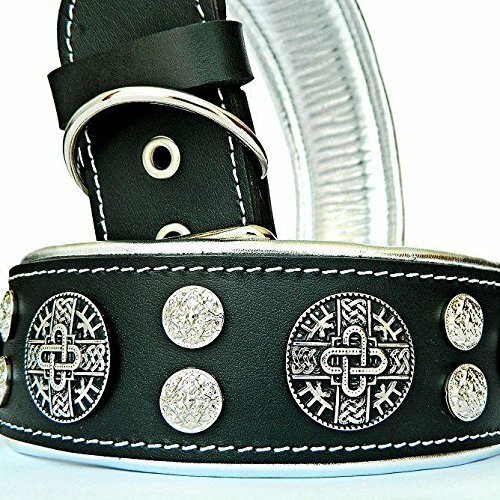 The Swarovski crystals in this collar are all perfectly lined up on the black leather, but the thing that is amazing here is the fact that the leather can come in various different colors, like brown, purple, pink, blue or red. Together with the different color combinations for the leather, there is even a different color combination of the crystals, which can be pink, blue, Tanzanite, Siam red, Fuchsia or Aquamarine. This collar is a really amazing product, which is something everyone can see in the picture below which offers us a look at this extremely unique deep, sea green color that offers a sense of tranquility other than looking luxurious. There are more than a dozen colors that you can choose from when it comes to this collar, meaning that you should find no obstacles to finding a perfect one for your dog. The different colors mentioned here include both different colors for the crystals and the different colors for the leather on which the crystals stand. Every single crystal on this collar has been individually secured on the leather part of the collar, which is just another piece of information that shows us just how great the collar is and what an amazing quality it has. There are people out there that just love the pink color, and if you are one of those, you will see that there is nothing better than this collar made by the BB Simon Pink Bling. The material surrounding the collar is supple, while the pink leather on the collar is backed by a soft hide, and apart from that, the collar also hosts some of the most beautiful stones you’ve ever seen. Besides the fact that the stones go all the way around the collar, they also offset the leather really well. Another amazing feature is the beautiful color on the buckle and the strap of the collar that is full of crystals. Your dog is definitely going to be in the spotlight while wearing this – an amazing collar with an amazing design. The best possible addition to a luxurious dog collar is a gemstone, and it doesn’t really matter if we’re talking about rhinestones here, crystals, or some semi-precious stones. It is true that one of the most recognizable crystal brands is Swarovski, but that does not mean that there aren’t any other semi-.precious stones out there that could look great on a collar after being processed by an artisan that creates pure works of art. 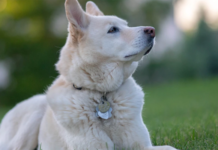 So, basically, choosing gemstones means that you’ve chosen something great because the chances are good that you are going to find a gemstone collar that offers an amazing style that would look great on your dog, and a style you are going to like. The leather is hand dyed, and the dog collars look like real works of art. This gemstone collar made by the Giltmore company is amazing due to the fact that it comes in all colors of the rainbow and looks like a rainbow as well. 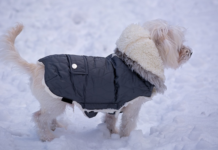 It makes everyone turn their eye towards it instantly, and the dog wearing it will definitely be the center of attention. It is made by Susan Lanci Designs, meaning that there is a huge name behind it, and it adorned by crystals made by Swarovski, which basically means that this could actually be one of the most sought after dog collars on the market today that is just perfect for the smaller dogs. The collar only comes in two colors – Black and Wine N Roses, but this doesn’t mean that it is not sparkly or rainbowy. The real winner in this collar are the crystals that come in 3 rows of totally amazing colors that go all the way around the collar. This makes this collar completely unique and rather incredible as well. This collection offers us some really bright colors and wonderful accessories on the outside while on the inside it features black Italian leather. This is a completely real Italian grain which was filled with the luxurious Swarovski crystals and then decorated with highly-polished hardware gold or nickel. These collars are handmade and can be found in various combinations, in total the number of combinations being a dozen. 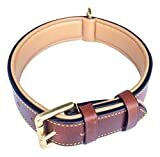 There is nothing better than a nice designer leather collar, and it is something you definitely ought to consider when you go out to buy a collar for your dog. It is important to find one made of the finest possible material that is improved by wonderful decorations, crystal, stones, or many other items. The leather on the collar needs to be of the best possible quality because it ought to house the nicest stone you’ve ever seen on a dog collar. These products only have the top of the line leather utilized in their production, and most of them were dyed by hand, often rather artistically, while keeping in mind that the stone is going to be molded into the leather at the end. If you are a real patriot, then make sure you show that to everyone by giving your dog this patriotic dog collar that is both luxurious and comfortable. These collars come in three colors, which are of course the red, the white and the blue, and every single one of them is adorned with amazing brass stars as well as with a couple of great stones. This collar contains stones that come in 3 colors, and they alternate. The colors are, of course, the red, the blue and the white, which makes this collar a perfect one for taking your dog to a walk on the 4th of July or any other major American holiday. Is there anything better than Italian leather from Tuscany? Hardly. This collar comes to us from Auburn Leathercrafters and has one of the best leathers used on a collar ever! It is both luxurious and comfortable, and what’s even better, it comes straight from Italy. The hardware on the collar is plated with nickel and is polished to such an extent that it’s completely bright. These collars might look rather simple, but can never be considered any less uxorious than any other collar mentioned here. And as you can see, they come in various different colors, so you’ll have no problem finding the one you’ll love. 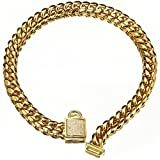 This is probably the most unique collar on this list and is unusually stylish. It is a black leather collar made of crocodile leather, embossed with a real crocodile pattern, but the blackness of it allows it to shine at every single angle. This collar is definitely going to turn your dog into a fashion icon. 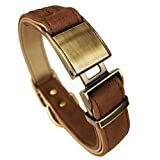 This will be further helped by the fact that the collar is nickel-plated, with the buckle of it being adorned with quality crystals that come in the perfect combination with the leather of the collar. This is something that many dog owners seem to love, and that is why we have the Rhinestone Dog Collars as well. They offer some advantages, with the most important ones including the fact that there is a huge selection of rhinestones that could be used for the collars, they are a lot cheaper than the precious and semi-precious stones but look just as good, and finally, they come in various colors and different types, meaning that there is a good chance that you can find everything you’ve been looking for under this section. 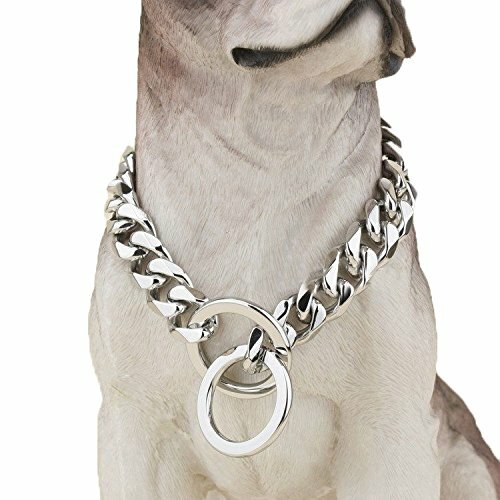 This dog collar is nothing except unique, both in its design and in the materials used. It is made of suede-like material that has been offset with a hardware collection that has been nickel-plated. But, the most amazing thing about this collar is the fact that it was made to mimic the colors of the Fall, which is perfect for all the people that love this time of year. Also, it’s amazing that the colors don’t fade, meaning that you can wash it any time you want, with just your ordinary soap and water. And finally, the last collar on our list is for all the people that love raspberries. It is made of supple leather that comes from Italy and has numerous sets of three wonderfully colored stones. 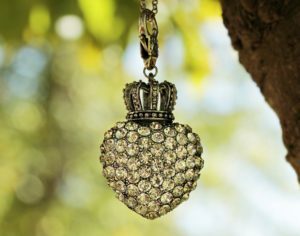 The stones are the Swarovski crystals, which need no special introduction. These crystals are paired with amazing leather made by some of the best artisans. 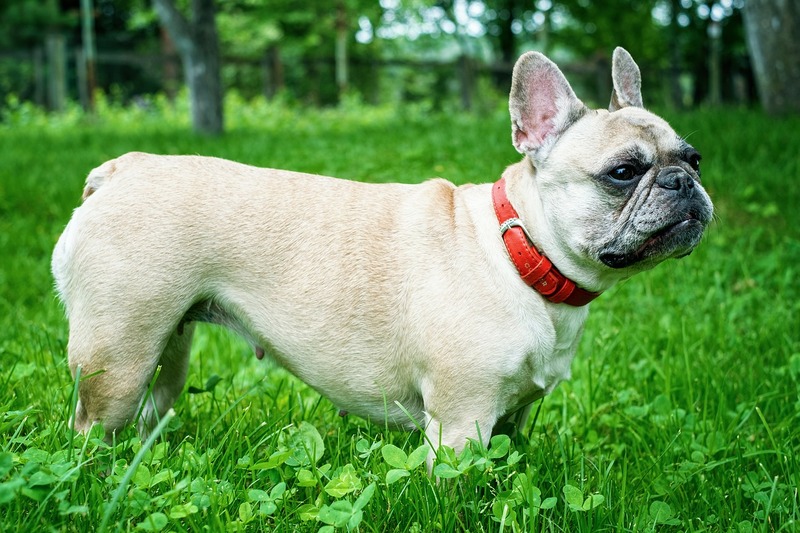 Alternatively, if your dog needs a little more training, you could get either an electric collar or an anti-bark collar as we reviewed this year. 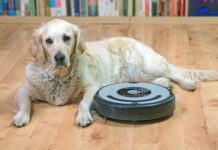 Perhaps you can try an ultrasonic anti-bark device. The crystals have heart shapes which make the collar look more delightful, and the colors of raspberry mirror themselves in the wonderful pink that reminds us of sunny days and the summer fields – all those places where the breeze is mild and gentle, and where the flowers bloom all day long. If the bright pastels are your idea of a perfect thing that you can’t go wrong with these collars. They offer amazing stones as well as the high-quality brass as hardware. 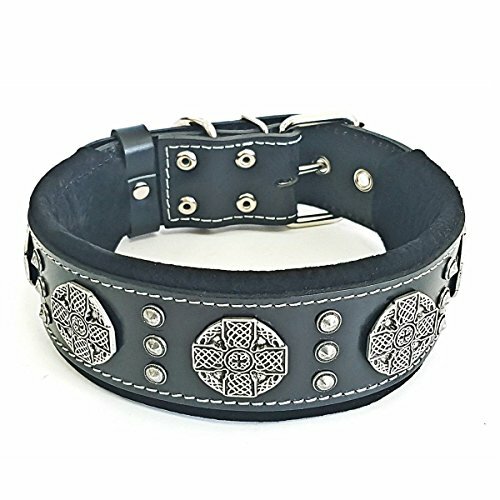 The leather is also of high quality, which is one of the best features of this collar, which comes in 4 different colors: pink, red, green and purple. There are two types of stones here, smaller and larger ones, and they go all around the collar alternately. Material:Imported 316L stainless steel.AAA Zirconia. Size:Width 0.55inch, Length 10 inch,Weight 4oz. Thanks for sharing! Got the Bestia Hektor for my bulldog, and it is top quality. Great! Glad I could help you, Ellie!